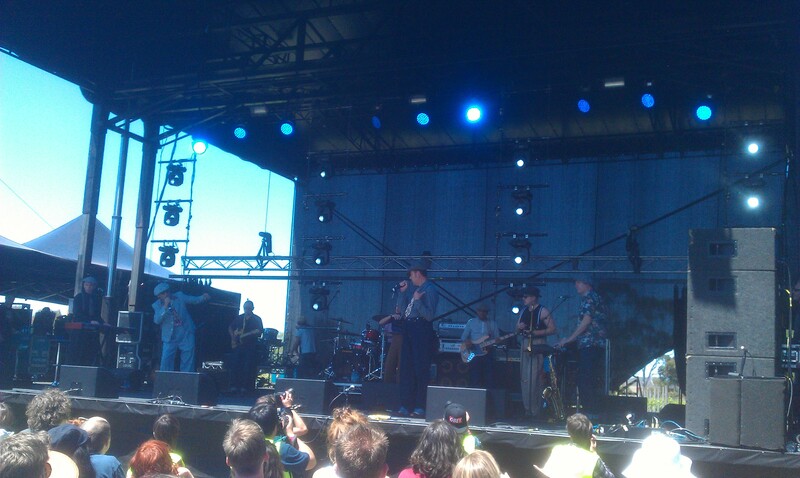 The Dexys won Harvest Festival’s Best Dressed Band, and Most Epic Crowd Sing-Along for Come On Eileen. Cake, for Best Angry Middle-Aged Man Rant About Mobile Phones And Social Networking. Ben Folds Five, for Best Song Made Up On The Spot. Beck, for Dumbest Rock-And-Roll Tantrum, after being cut off at the end of his set.